As a small business owner, processing payroll can be overwhelming; especially if it’s the first time you’ve ever done it. There are so many things to learn, from new software to various payroll processes. 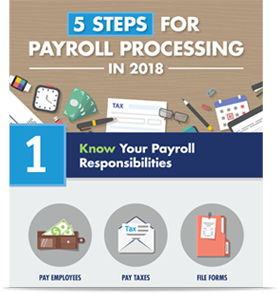 Fill out the form to access the 5 Steps for Payroll Processing in 2018.